Info from the book: A motherhood expert teaches the seven essential principles every mom needs to confidently raise her children. Every mother wants her children to grow up happy, healthy, and fulfilled. But reaching that destination can be full of indecision, worry, and second-guessing. Ask any mother, "Do you think you're doing a good job?" and she'll likely give you a mixed answer. In her groundbreaking book, Regret-Free Parenting, Catherine Hickem offers seven principles for mothers to raise their children well . . . and know they're doing it right. With nearly thirty years of experience as a psychotherapist, speaker, women's ministry director, and founder of Intentional Moms, Catherine Hickem shows how to build respect, companionship, trust, and emotional health as well as how to usher confident, centered, and secure adults into the world. If any mother has ever wondered, Am I raising a good kid and am I doing it right? she needs the impactful teaching of Regret-Free Parenting. 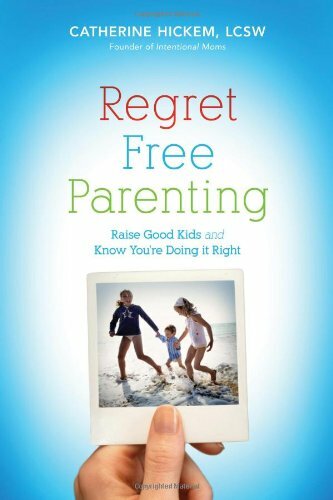 I thought this book was a nice change from most parenting books.I just love the idea of living a life with no regrets. Author Catherine Hickem gives parents the tools they need to parent effectively with out wondering how their children will end up. I would recommend this book to families who are looking for encouragement on how to parent and they will finish this book knowing the steps they need to take! I look forward to my husband reading this book and would give this book 4.5 stars. Thomas Nelson Publishers has provided me with a complimentary copy of this book. Thank you so much for taking the time to read and review "Regret Free Parenting". I'm humbled that it spoke to you and I hope it will continue to speak to your family as you continue your parenting journey. Looking forward to helping you to help raise your kids!